If you are in the “test automation business”, most probably you are familiar with the Selenium IDE. Selenium provides a record/playback tool for authoring tests without learning a test scripting language (Selenium IDE). 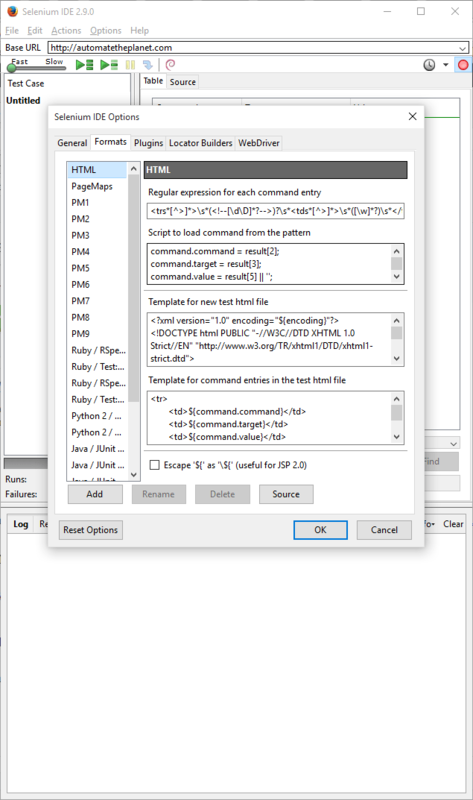 It gives you the ability to export your tests to number of popular programming languages, including Java, C#, Groovy, Perl, PHP, Python and Ruby. However, the built-in formatters cannot be customized and usually are generating not very useful code (not following your framework design). In this article, I am going to share with you how you can extend the Selenium IDE and add your custom Selenium IDE Export format template. There are tons of already created Selenium IDE export plug-ins you can always see if some of them are working for you. Allows users to take advantage of WebDriver without having to modify their tests. You can download it from its official add-on page. ­There are three empty functions- parse, format, formatCommands. The parse function is almost opposite of format. This function parses the String and updates test case. The formatCommands function is similar to format function. You can add additional logic to it. In my code, format will call formatCommands. The “format” function creates an array of commands that contain command object (Command, Target, Value). If we have the following sample base test class, our goal might be to export our Selenium IDE tests to C# code that uses the methods provided by this base test class. Below, you can find the full source code of the new Selenium IDE Export format. There are a couple of interesting parts of the presented code. Most of the magic happens inside the setCommand function. There, through a switch statement, the function generates a string for the corresponding C# code for the used Selenium IDE command. The locator expressions are made in the searchContext. One more thing, you can use XUL XML (XML User Interface Language) to describe how the format settings form will look like. After you add different text boxes and other controls, you can later use the default values set in them in your Selenium IDE Export format. As you probably know, I am a big fan of the Page Object Design Pattern. Until now, I have introduced to you a couple of different ways to use the design pattern. Usually, the most tedious part of it is the creation of the element map classes. 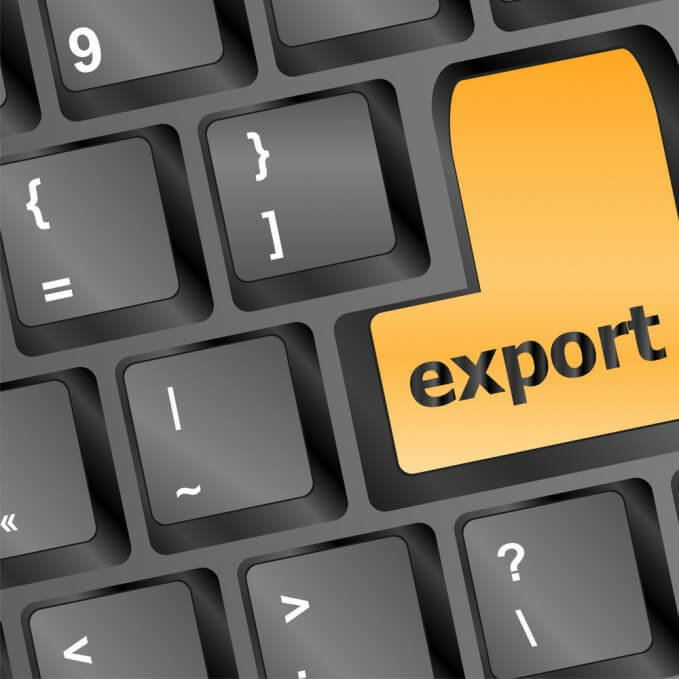 We can ease the process with the help of Selenium IDE and a new Selenium IDE Export format. This format is going to export to a new file only the elements in the below format. I haven’t figured a smart way to name the generated elements because of that the first version is producing them with an increasing index suffix added to the element’s name. 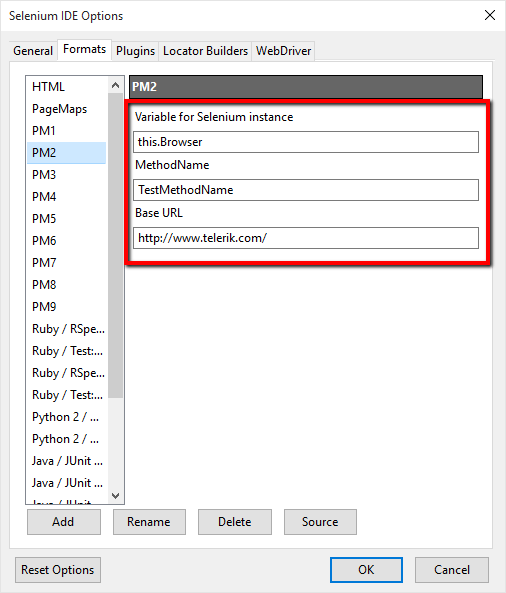 The post Create Custom Selenium IDE Export to WebDriver appeared first on Automate The Planet.